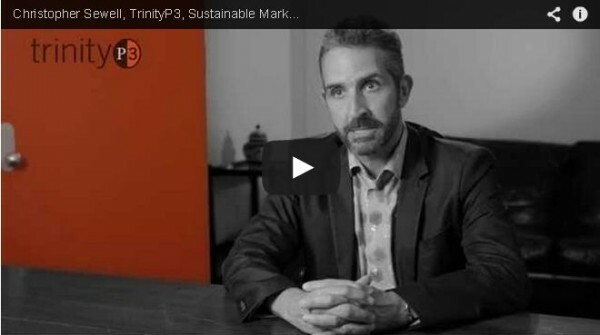 Christopher Sewell, Senior Consultant at TrinityP3 has a burning passion about sustainability. This passion has seen him, through his own company, The Gaia Partnership, develop the CO2Counter to assist companies to measure, monitor and manage their carbon footprint. These companies have invariably made a commitment to sustainability, not just as part of their CSR strategy, but because sustainability in business leads to reduced costs as well as reduced environmental impact. The irony is that often those same companies that focus on achieving sustainability throughout their operations, overlook achieving sustainability in the very function that communicates their strategy to their stakeholders. In this video Christopher talks about how marketers have the opportunity to align to their companies sustainability strategies and in the process achieve a greater alignment with their customers and reduce their costs through eliminating waste in the marketing process. Q1. What are marketer’s biggest challenges in achieving environmental sustainability? A marketer’s biggest challenge in achieving environmental sustainability are really knowing when to act. There’s a lot of noise out there in a political climate saying, “don’t do anything in an environmental space”, but there’s more and more research coming out that’s saying that consumers do want to act. They do want to engage with businesses that actually do take the environment seriously. TrinityP3 can assist marketers in a number of ways. Firstly, we need to engage with them to understand where they are on their journey. We need to see if they have policies in place that need translating across into the marketing area. If they’re well down the track, we can actually work with them and their partners to understand what their carbon footprints are or the environmental aspect of what they’re doing is across all their output channels, be that online, be that in traditional media, be that in printing output. If we actually measure, we can help them benchmark where they are and move forward to actually work again with those partners to reduce the carbon footprint. The benefits of the marketers is to help them align with where their consumers thinking is going at the moment. Q3. What advice would you give marketers facing this challenge? Marketers facing this challenge need to act today. 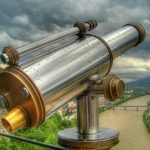 There’s between six and twelve months work required just to understand where you should be strategically and align it against all of your other business challenges. So therefore, the sooner you start, the quicker you’ll actually get into a sustainable space, being able to engage with your customers. To read more of Christopher’s insights and knowledge on sustainable marketing and more, check out his posts on TrinityP3 blog here.